MediaMath, the leading digital media-buying platform and services company, today announced that Grovo.com, the Internet’s productivity and training platform, will power the online portion of MediaMath’s New Marketing Institute, an education initiative to engage and empower the new generation of online advertising professionals. The New Marketing Institute (NMI) is designed to get digital marketing professionals up to speed on the latest technologies, while simultaneously creating a community for all things new in the digital space. Through the partnership, Grovo and MediaMath will share online advertising courses across both companies’ sites, making it even easier for agencies and brands to continue their digital marketing education and help the uninitiated get a grasp on the growing complexity of terms, concepts and processes involved in the rapidly evolving digital media buying infrastructure. The partnership will supplement the NMI’s current in-person training sessions held at the Direct Marketing Association (DMA) NYC headquarters, giving all NMI certified members access to Grovo’s Online Advertising course, with 15 lessons touching on subjects such as Targeting Display Campaigns, Optimizing Advertising Campaigns, and Real-time Bidding. Grovo’s web-based training will meet the needs of industry beginners who are eager to learn about the display landscape, as well as industry veterans who have mastered certain aspects of the business and are looking for new and innovated ways to build, manage, and grow their media businesses. Members will also receive a premium membership to Grovo, which includes access to Grovo’s 3,000+ free and premium lessons covering topics such as cloud computing, social media, and online marketing. Quizzes, glossary terms and PDF cheat sheets accompany every lesson, creating engaging multimedia content for a unique online learning experience. Grovo’s catalog of video tutorials, animated conceptual lessons and expert interviews for businesses covers everything from accounting and finance websites to CRM and project management to help users find the tools they need and learn how to use them. All of the content is delivered through Grovo’s proprietary education and training platform, and produced by Grovo’s in-house team of writers, animators and producers. Headquartered in New York, with offices in five countries, MediaMath is a global leader in marketing technology. MediaMath has been included in the INC. 500 Fastest Growing Companies, and has been named an AlwaysOn “OnMedia 100″ winner multiple times. 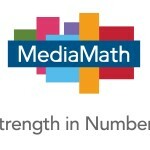 MediaMath’s investors include Safeguard Scientifics (NYSE:SFE), QED Investors, Catalyst Investors and Observatory Capital. Grovo makes it easy to be more productive in your personal and professional lives. Grovo.com produces 1-minute videos covering the latest changes to Internet services like Facebook, Evernote, and Google Apps. Grovo maps these updates to the services people use. 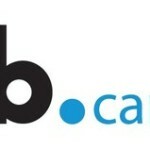 People are notified in real-time to help them use the services. Grovo’s proprietary technology harvests demand about the most immediate questions people have about new features and functionality. Every day, Grovo’s in-house team produces short videos covering these updates and delivers them as they’re happening. Currently, the library contains over 3,000 video lessons. Each lesson includes a multiple choice quiz, downloadable PDF and time-synced transcript. People in 150 countries are using Grovo to save time and become more effective online. From K-12 school districts to 100 of the Fortune 500 companies, Grovo serves professionals and organizations of all sizes with its freemium business model. Grovo was founded in 2010 and is a privately held company headquartered in New York City. Grovo has delivered 1 million video lessons and has raised venture financing from some of Silicon Valley’s most prestigious investors.